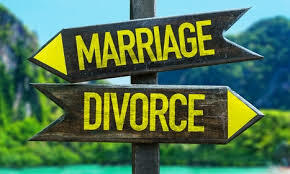 If you or your spouse / significant other are considering a divorce/separation, it can be a confusing and very painful experience. Arriving at a decision about whether or not to stay together can be complicated and overwhelming. Unfortunately, traditional counseling is not an effective tool to address this particular dilemma. However, Discernment Counseling is exactly the right tool for this situation. Discernment Counseling provides you a structured opportunity to slow down the decision-making process, take a breath, and look at your options for your marriage. In traditional marriage counseling, both partners are interested in doing the work of making the relationship grow. In Discernment Counseling partners have different ideas about whether or not the relationship is workable. This is referred to as a mixed-agenda marriage. One partner wants to make the relationship work (called the “leaning in” partner,” and the other partner is unsure, or feeling like exiting the relationship (this is called “leaning out”). It is the role of the counselor or coach to help you decide whether to try to restore your marriage to health, move toward divorce, or take a time out and decide later. Discernment Counseling is short-ter and generally takes 1-5 sessions. Each session concludes with a decision about whether or not to engage in another session. The primary goal of discernment counseling is clarity and confidence about your decision-making, and it is designed to facilitate a deeper understanding of your relationship and its possibilities for the future. This is not traditional counseling because the goal is not to solve your marital problems, rather, the goal is to see if your marital issues are solvable. 1. Continue your relationship as it is, without a clear resolution to the issues you may be having. 3. Commit to ongoing couples counseling in order to work through relationship issues, with divorce taken off of the table. Most of discernment counseling occurs with a combination of one-on-one work, and together work, to bridge the gap between your respective thoughts and feelings about staying or separating. A better understanding of your own contributions to what is working and what is not working, as well as an exploration of your reasons to restore your marriage to health, or to not restore your marriage to health, will be explored individually. There are no good guys or bad guys in discernment counseling. There are only people who are hurting, and looking for the next right choice to create the life they hope to live. My job is to help you find the clarity to do just that.